Dieselpunk is proud to present The 19XX Organization. not long after the end of the Great War, those who were capable of hearing it, received a revelation… another Great War was coming. This coming war would push the limits of technology, split the atom to create the power of a small star, and bring together forces more evil than the world has ever known. That this war would happen was man’s fatal destiny, but the outcome of the war and the details of it were not as clear. A weak League of Nations banded together to form a group. A group capable of doing what those countries could not. A group of adventurers, explorers, and scientists from every allied country to search the globe and fight a battle far from the public eye. This group is The 19XX, all the public has been told is that they are fighting for all of the good in humanity to survive the nineteen hundreds and beyond. Their mission is to track down every powerful relic, every modern and undiscovered weapon, and every magic incantation ever uttered on the earth’s crust, because the forces of evil responsible for the next Great War would be searching for the very same thing. Nothing in the realm of the tangible or intangible is off limits when the fate of the entire world is at stake. Dieselpunk Encyclopedia is proud to present one of our movement’s most famous creators: Alexey Lipatov. 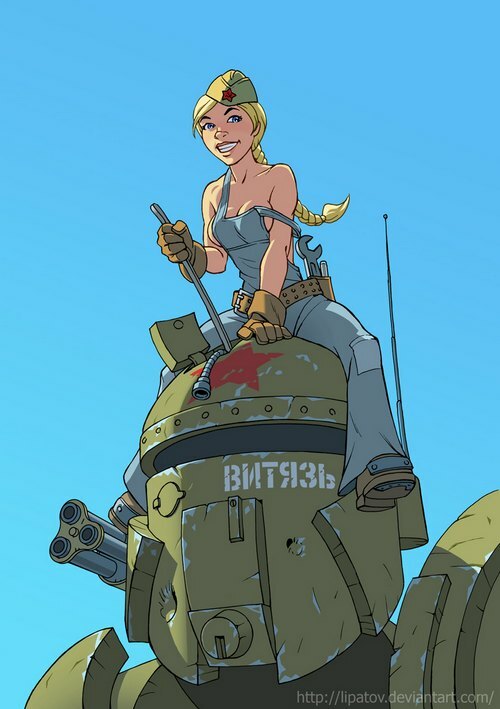 His contribution to the genre goes far beyond the images: this Ukrainian artist shows a wonderful ability to catch the spirit of dieselpunk and to present in a most precise and attractive way. No wonder that some of Lipatov’s works were turned into posters, wallpapers and avatars. 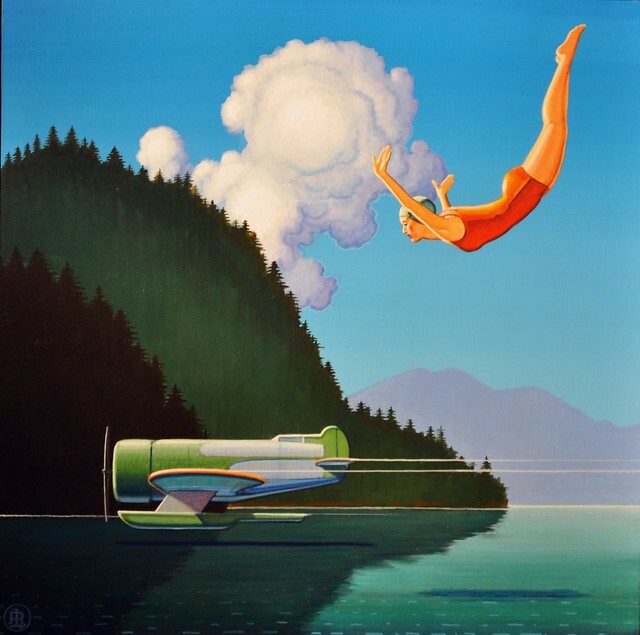 It’s so easy to fall in love with this brave new world of flying boats and hovercrafts, smiling girls and adventurous pilots, with a light touch of noir and horror – just for fun. We hope… no, we are sure you’ll enjoy this short selection. Eldorado, a former colony of the Kingdom of Albion, became an independent monarchy in 1776 (“No Eldoradian King – no eldoradian taxes !”), when the King of Albion addressed the elected King of Eldorado as “mon frère” for the first time in the “Dépêche fraternelle”, which is nowadays exhibited in the N.H.City National Museum. Monarchy became constitutional with the end of the Eldoradian civil war (1861-65), when the confederate states abolished absolutism. The Kings name is Jacob ever since (the royal coat of arms reads “Iacobus Rex”), but most Eldoradians use to refer to his majesty as “Jack”. Two Elekktra-II support airships maneuvering in the docking perimeter of Atlantis station. Elekktrae docked the MPRP on a regular base to keep both, technical installations and crew, operational. A common air force nickname for HE-II standard support vessels was “Milk Cow”, abbreviated as “MC” in radio code. 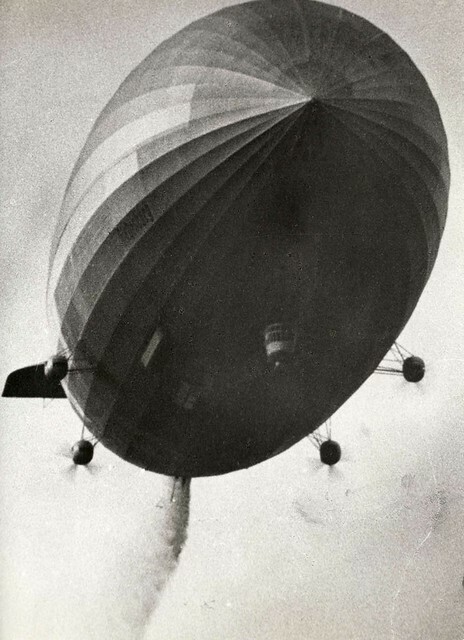 An early Elekktra class (HE-I) rigid airship entering the landing perimeter of the Westworld Testing Facility “WTF”, (sometimes called “Where The F***), also known as “the dry castle” or “napkinworx”, as the area was situated in the Western Territories’ vast desert regions and due to Citizen Hugges’ often documented habit to scribble ideas onto napkins while in a restaurant to “save them for mankind”, expecting his technical staff to bring them to fruition exactly as seen on his 30 second blueprint. …in short, a whole brave new world with its own history, folklore and humor. Sometimes dark, sometimes full of sunlight, always streamlined and uncompromisingly dieselpunk. Welcome to the Future That Never Was! How do you like your dieselpunk – brutal, greasy and all-riveted or sleek, polished and shiny? No matter. Most probably, it will be served streamlined. Beautiful curves, shaped in wind tunnel, go well with any device of your choice – from express train to desktop radio. This picture was taken in 1934. 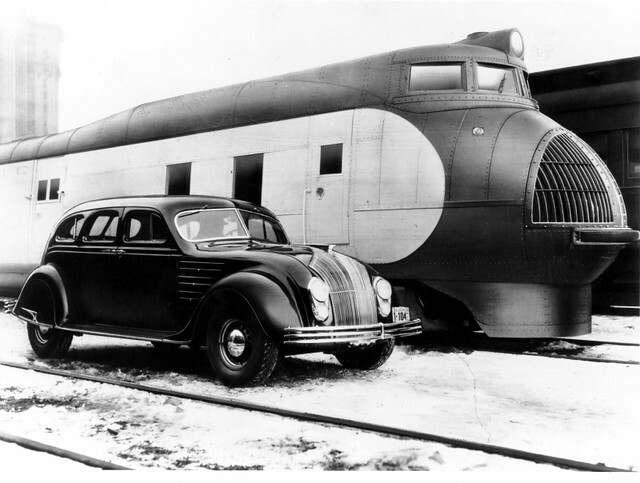 First US-designed streamline passenger car and one of the first streamline articulated trains together. 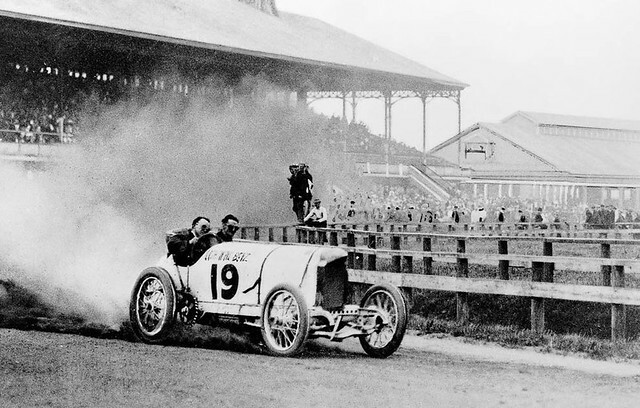 Both were inspired by aeronautical technologies. First and foremost, by airships – what could be more streamlined?